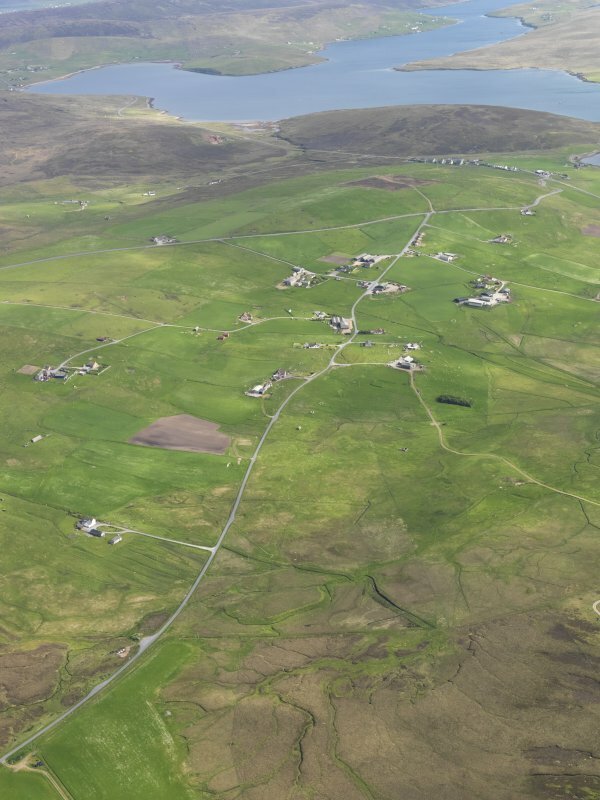 General oblique aerial view of Twatt with Brecks Hill and Bixter Voe beyond, looking SSE. A farmstead comprising one unroofed building, one roofed building and two enclosures is depicted on the 1st edition of the OS 6-inch map (Orkney & Shetland (Shetland) 1882, sheet xlii). One roofed building and one enclosure are shown on the current edition of the OS 1:10000 map (1973).